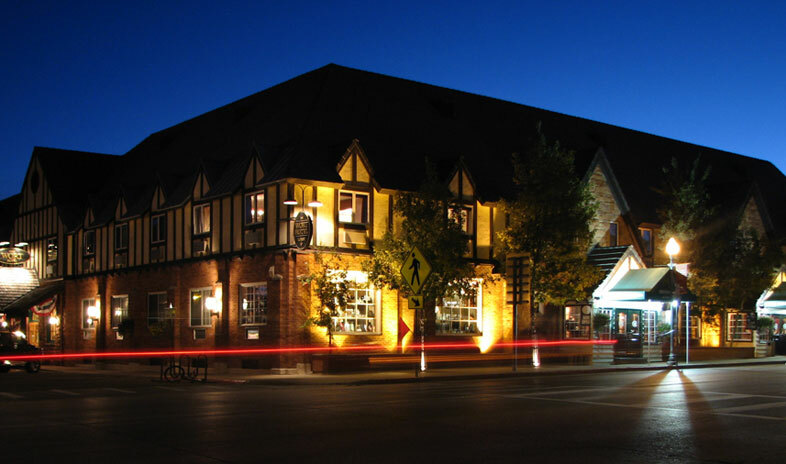 Half a block from the town square of Jackson, Wyoming, The Wort Hotel remains an anchor of the community. Opened in 1941, it combines the warmth of a Western lodge and the luxury of a first-class hotel. Leisure guests often choose The Wort as home base for skiing in Jackson Hole or exploring nearby Yellowstone or Grand Teton National Parks. The hotel's saloon, the Silver Dollar Bar, thrills guests and locals alike with its live weekend entertainment and historic bar inlaid with 2,032 silver dollars. For guests with business on the agenda, the Wort Hotel offers comfortable, modern events spaces. The largest meeting room accommodates corporate events for up to 125 people. The 55 guest rooms and suites feature lodge-pole pine furniture, down comforters, plush robes—and Silver Dollar Sam teddy bears. We held business meetings at The Wort Hotel in the winter and spring of 2016. Beautiful - historic property, super friendly & accommodating staff, great restaurant. Jackson Hole and The Wort is an all around fantastic location to hold a business meeting! The sales team did a fantastic job on planning my event and made sure every detail was taken care of. Fantastic people and property to work with. Meeting room was perfect for our needs. Food and beverage service for the meeting could not have been better. They were very attentive and took excellent care of us. We loved that the hotel is right in the town of Jackson - it is a perfect location! Plus, we even saw two moose wandering through town! I have held many meetings at hotels in different states. This was my first time in Jackson Hole, Wyoming. I can honestly say I have never felt more at home than at The Wort Hotel. Throughout the planning phases, Matt White was always available to answer questions in a timely manner and on-site he came and checked on the group daily. Hotel Conference Service management was extremely detail-oriented and we were successful because of their efforts. The banquet team is outstanding. I can't praise Rob and Scott enough for their kindness and quick responsiveness. The rooms were perfectly set and hotel staff was available with a smile if there were any last minute needs. Outstanding food and bev. The participants in our group came from many different states including American Samoa. We were invited on a special Tram Tour. There were several people from our group (including myself) that were not prepared for the weather. I was in the restaurant preparing for lunch, when Tracy Denison came by with her beautiful personality just to say hello and ask if everything was going ok. We began to talk and I was telling her about the group and that we were going on the Tram ride, however some of our participants were not prepared. Tracy said I can go home and get a coat, hat and gloves. I looked at Tracy in disbelief. What a wonderful thing to offer! It was totally unexpected but the sweetest gesture. It did not stop there, Lauren Armatis also offered her coat and Christie (front desk) found a coat, scarves, gloves, and hats in lost and found for the group to borrow/ Needless to say we were all prepared. What a team! I will never forget these sincere acts of thoughtfulness and I look forward to visiting your hotel again soon.